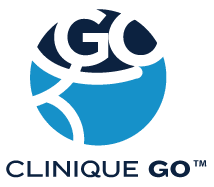 Clinique GO™ offers in-home osteopathy services in Montreal, including Greater Montreal, Laval, Longueuil, Monteregie and the North Shore of Montreal. Osteopathy is a form of manual medicine aiming to treat the causes of pain and imbalances via gentle manipulations. Different techniques are used to detect tensions and imbalances in the body that may lead to discomfort or illness. Osteopathy is based on the interaction of different systems of the body: musculoskeletal, neurological, digestive, circulatory, hormonal, etc. Osteopaths study the effects that an imbalance in one system, has on the others, to determine the cause and offer the appropriate treatment. Clinique GO™ osteopaths are members of different organizations. A professional governing body for osteopaths in Quebec is currently in discussion. Osteopathy was founded during the second half of the nineteenth century by the doctor and surgeon Andrew Taylor Still. It was only after an epidemic killing many of his patients and family members that he started to question the medicine he was taught. He stopped practicing medicine for a few years to work on new techniques. In 1892 he founded the American School of Osteopathy in Kirksville, Missouri. His teachings spread throughout the United States until they became officially recognized. Osteo comes from the Greek word meaning « structure » and « bone ». Osteopathy is wrongfully associated as medicine for bones alone since the discipline treats all the different structures in a human body. An osteopath specializes in the functioning and relationship between joints, tendons, organs, internal organs, muscles as well as bones. Musculoskeletal System: lumbago, sciatica, torticollis, problems with vertebrae, sprains and tendinitis, headaches of mechanical origin, etc. Nervous System: headaches and migraines, dizziness, stress and anxiety, trouble sleeping, excessive fatigue, etc. Digestive System: trouble digesting, bloating, diarrhoea, acid reflux, heartburn, constipation, etc. ENT issues : sinusitis, laryngitis, bronchitis, asthma, ear infections, vertigo, etc. After trauma: car accidents, workplace injuries, after a fall, etc. Although osteopathy helps alleviate and improve many ailments, it does not suffice in treating patients with serious medical conditions like cancer or multiple sclerosis. In this case, osteopathy will act as a complement to traditional medical treatments and provide support for the patient during treatment or within the different phases of an illness. What does an osteopathy session entail? On your first visit, an osteopath will ask you many questions allowing them to understand your medical history, your physical condition and the reason for your visit, etc. Your osteopath will examine you from head to toe in different positions. They will physically examine your joints, muscles as well as your flexibility and range of motion. By feeling your different muscles and joints moving, they are able to detect tensions and imbalances when performing certain movements. Your osteopath will be able to suggest appropriate treatment to dissolve tensions and restore optimal mobility. Who can benefit from our in-home osteopathy sessions? Our osteopathy sessions are beneficial and cater to all in-home patients of all ages. Osteopathy heals many pains and imbalances related to the different systems in the human body for children, adults and the elderly. Which areas do our osteopaths travel to?